Product categories of CNC Turning&Milling Machining, we are specialized manufacturers from China, CNC Turning&Milling Machining, CNC Service For Brass suppliers/factory, wholesale high-quality products of Metal Part By CNC Turning R & D and manufacturing, we have the perfect after-sales service and technical support. Look forward to your cooperation! Milling and turning are two important operations within CNC Machining. They support machining operations to ensure the construction of components with precise specifications, and with a certain type of internal or external surface. Both CNC milling and turning have sub-operations that allows for the creation of different industrial components. 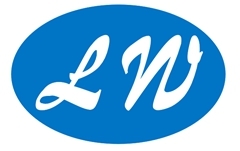 LW manufacturing factory meets the component requirements of industrial customers by providing end-to-end CNC Turning and milling services.